Apex Legends does not have Titans, or the wall-running and double-jumping mobility options that you’d expect from a Titanfall game – after all, there’s a reason it doesn’t say Titanfall in the title. But that doesn’t mean developer Respawn didn’t try to get the iconic bits of the series into Apex Legends. It just turns out that they all break a competitive battle royale. If you want to know what can wrong with an overpowered item in battle royale, just look at Fortnite’s Infinity Blade – an item so powerful that players revolted and it had to be pulled from the game. It’s a similar story with those special movement abilities, which made combat tough to read. If the action’s that hard to follow, Respawn found that it cut down on the game’s strategic depth. You can hear McCoy’s full comments in the video above. 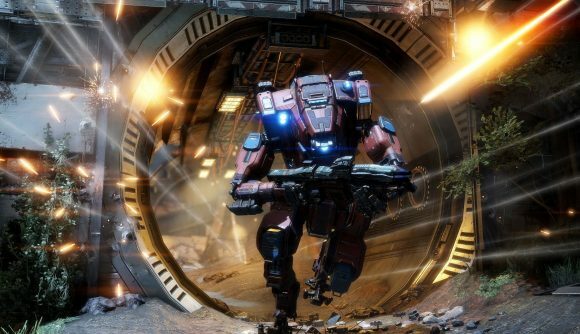 Reports suggest Apex Legends morphed out of Titanfall 3, but Respawn says more Titanfall is still on the way. In the meantime, you’ll have to make do without Titans and big movement abilities and enjoy an excellent battle royale with boots mostly on the ground.